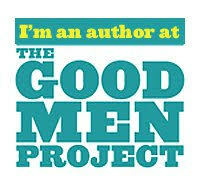 All of my life, I’ve prided myself on being giving of my time and talents to those who need it. From running a charity golf tournament with my father, to volunteering weekly at an orphanage, to providing time and resources for a big children’s cancer research run, I was pretty confident that my level of giving to others was sufficient. I turned out to be a perfect blood match for Tony, who I had not met at the time. I wrestled with this emotional tug of war for a few minutes, felt the fear of losing an organ my body was using but could survive without, and then I ultimately said yes. In agreeing to the donation, I opened a door for The Chhim family that had not been available to them for years. They had searched the world for a donor with no luck. Now Tony could plan for a long, healthy life and gain permanent mobility away from the dialysis center. Needless to say, the Chhim family was beyond grateful with my decision. Yet, I had to dig deeper into why I was giving the kidney and why now at 46 years old? The answers weren’t clear at first. Underneath the laughter, there can be a great sense of love and fear that accompanies organ donation. While being very helpful to another life, there are thoughts of your remaining kidney failing, surgery gone wrong, and a litany of other what ifs. It was important for me to meet these fears head on and work through them mentally and emotionally. The answers of why I’m donating did eventually become clear. 1. Life Supporting Life – more than anything, when the call comes to help, I want to be thought of as a person who can be counted on. It’s an act of love and contribution to support life when you give away your time, talents, or other resources. By giving a kidney to Tony, I am in essence not only supporting the extension of his life, but indirectly supporting all of life itself. 2. Helping my Hero – when the call came, I acted in kind to help my friend Tim Chhim. His heroic act of survival through the Cambodian Khmer Rouge massacres in the early 70’s has inspired me to be more heroic in my life. It was natural for me to want to return a gift he gave me through his courage and perseverance to live. 3. Understanding the Research – most people can live a very healthy life with one kidney with no shortage of life expectancy. The one remaining kidney becomes more efficient and expands in capacity to meet the needs of the body. In addition to finding out the facts, I talked with living donors, recipients, doctors, surgeons, and a host of other professionals with tremendous experience in the field. I kept asking questions until I was comfortable with my decision. 4. The Need for Organ Donation is Tremendous – over 100,000 people are on the kidney transplant list in the United States. That list is growing every day. Other organ lists such as liver donation are growing exponentially as well. Organ donation awareness has become important to me and I’m donating my kidney in part to be an example for others to gather the courage to investigate potential donation of their own. 5. It’s a Unique Blessing – to give a part of my physical body away is truly a blessing from above. It’s just my time to give in a special way. I don’t expect anything in return for the gift, but knowing I’ve helped Tony improve the quality of his life inspires me to want to keep giving of myself in other ways and champion others to give too. Organ donation is a decision that needs to be thoroughly considered. It’s not right for everyone, but for some it can be the right call to make. Life has a weird way of quietly tapping us on the shoulder for our assistance when we least expect it. The question becomes will we step up when called? Through overcoming our fears and ultimately displaying love for our fellow brothers and sisters, we most certainly can get to the point where we all emphatically say YES! 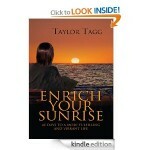 Taylor Tagg is a Forgiveness Educator and Coach, Strategic Interventionist, Napoleon Hill Foundation Leadership Instructor, Radio Host, Author, and International Speaker. 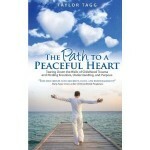 Taylor specializes in helping those in pain open the heart and mind into love and happiness once again.